Come and say and get $5 off your copy of Kiss Addiction Goodbye at the Sonoma County Fairgrounds this week. 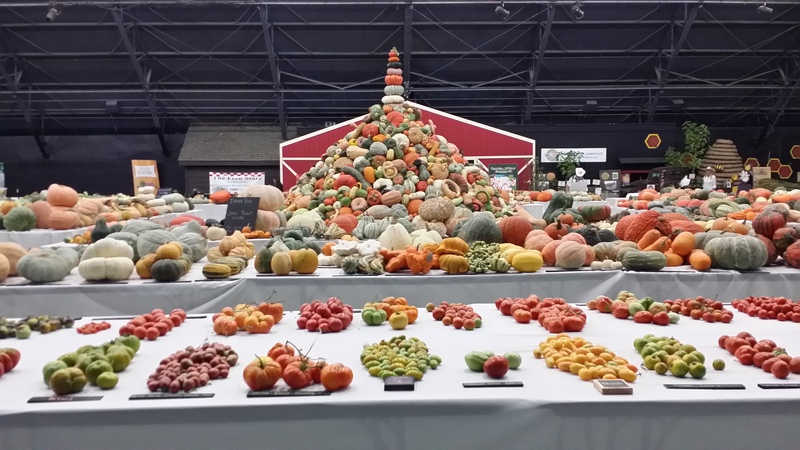 We have attended the Heirloom Festival before and always love this conference. It is filled with kindred spirits who care about their food, their planet earth, their community, and most importantly, their gardens. Plus, it is totally affordable!!! If you are looking for something to do this coming week? Come on down. Make sure you say hi! We’re doing a presentation on Wednesday September 6th, at 5PM. We’ll be showing off our Urban Food Forest Homestead in the Las Vegas Desert. With many plants inspired by the Essene gardeners. And in addition, we’ll be bringing seeds to share and fresh picked Jujubes. National Heirloom Festival tower of organic squash!